As of 16:00 hrs Tuesday afternoon, the entire territory of the Republic of Macedonia along with a good part of the Balkan's region is experiencing a major power outage. According to the sources of REK Bitola - the main power plant in the country - the collapse came after Greece pulled excessive quantity of electricity from the network, which triggered the preventive protection system of the plant which shut down three units of the plant. and establish synchronization among the systems. An unofficial information says that the initial outage broke out in Serbia's network, triggering collapse of the Kosovo and Montenegro's systems. 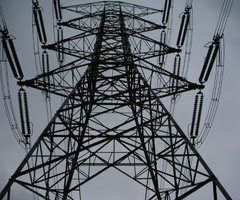 The power supply has been already partially restored in Macedonia as the reconnection into power distribution system is carried out gradually to prevent overloading of the system.